I saw this poster at the PGH seventh floor, featuring Dr. Jose Rizal and the National Photobomb, a testament that in this country, anything is made possible. The only time I regret owning many books is when I move out of a place. Books and other reading materials—but mostly books—constitute majority of my material possessions, a humbling testament to my current net worth. I still get the childlike wonder of leafing through physical pages; of going to bookstores to while away time; of wandering inside cold, dark, and damp libraries. The physical presence of tangible books reassures me that I won’t go idle for many days. A stack of books sits beside my call room table, as if to remind me that I have friends who can take my mind off death and dying and clinical dilemmas. Another stack of books lies on my bedside desk, so I can pull out a story to keep me entertained for the night just before I sleep. But I’ve cut back on my book spending, a moratorium I intermittently violate whenever I find rare titles, as if leaving them un-bought were a crime. This weekend I shipped my books to the province, a tedious task that entailed a lot of carrying and packing and sweating. I’m glad to have my brother Ralph, who owns ten times as much reading material as I do, accommodate my collection in the cargo that’s on its way to my aunt’s Court Library in General Santos. My brother Sean will get them and drive them back to our house in Marbel in a pick up truck. “What will we do with them at home?” my mother asked—she who used to be a rabid book collector herself but who had lost track of her Ayn Rands (yes, she recommended “Atlas Shrugged” to me when I was in elementary) because she didn’t make a list of people who borrowed them from her. I said she may need to have new book shelves constructed, maybe inside the empty room that now serves as a storage facility. For the past three years I’ve mostly done my reading through my iPad’s Kindle and iBook apps. Since this year I’ve only read Tim Keller’s “Walking With God Through Pain And Suffering,” portions of Eleanor Catton’s “The Luminaries,” and the first third of Adam Johnson’s “The Orphan Master’s Son” as physically printed books. I’ve transitioned—slowly and painfully—into the electronic. I’ve gotten over the longing (well, most times) of smelling ink on paper. Owning a tablet has effectively reduced my material properties to a bare minimum. Professor Jeff Straub has a helpful series on building a (digital and physical) theological library, but mostly for the digital—something we can all learn from, whether we’re pastors or not. Casey Newton's article in The Verge tells us how restaurants are changing their designs to look more Instagrammable. To be sure, restaurateurs have always wanted their spaces to look attractive. But in the era before social media, a designer could concern herself primarily with the space’s effect on its occupants. How a room looked in photographs was, at best, a secondary concern. Ravi DeRossi, owner and primary designer of 16 bars and restaurants, including the pioneering New York craft cocktail bar Death & Company, says he has never used Instagram, preferring to design by instinct. “I want my places to feel transportive,” he says. Death & Company, which opened in 2007, exemplifies design in the pre-Instagram age: dark wood, dim lighting, and a muted color palette. The bar has a sophisticated interior, but it’s kryptonite for Instagram — good luck getting any likes on that underexposed shot of your $16 Dixieland Julep. It's interesting to see how social media influences everything around us. Facebook and Twitter, for example, dictate what comes out in traditional news outlets. Should "social media" take a singular or plural verb? "It's still too early," I tell Tatay. He disagrees with me, "No. Alas singko na." Tatay and Nanay have their early morning chats at 4 am these days. This is why I'm a morning person. 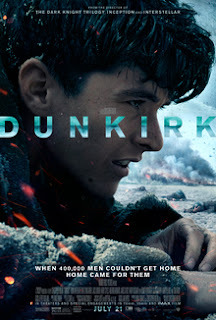 When civilian boats voluntarily sailed through the English Channel to rescue the stranded soldiers off the bloodied beach of Dunkirk, France; I was almost brought to tears. After all, home brings a certain relief for most of us, and in this historical display of humanity and nationhood—two concepts that must necessarily, but do not always, go together—home came to hundreds of thousands of men, with gratitude to some yacht owners who braved the turbulent seas, with all the risk that this had entailed. The 1940s was a time when the world, led by the British, was at war against the strong Nazi forces. Soldiers drowned as British ships capsized. Bombs were dropped from the air. The soldiers would only duck for cover rather than doing nothing at all. Airplanes crashed after being bombed themselves. The magic of the film was its ability to trap us into the visually disturbing and noisy montage of bombs and planes, blue skies and wide beaches, drowning and crashing, hunger and food, agony and relief—as if we were there ourselves. Fun: Stephen Colbert interviews Kenneth Branagh, who knows his History lessons. PS. On a more personal note, I remember my roommate, Tom, telling me he'd caught a glimpse of this place during his last trip to the UK for his neurology elective. During my last trip to Paris, I stayed very near rue Dunquerque, a few steps away from the Gare du Nord. I consider this my irrelevant, remote connection to the film. Jesus, my deepest thanks is always reserved for you. You have always been faithful to your word, though I have not always been faithful to trust it. Thank you for the amazing grace you have extended to me. Thank you for hiding your most precious treasures in the most difficult and painful experiences. And thank you for all that you have done to teach me to walk by faith (2 Cor. 5:7) and put my greatest trust in things not seen (Heb. 11:1). I look forward to the day when the dim mirror of this age is removed and I finally get to see you face to face (1 Cor. 13:12). I know you long for that day, too ( John 17:24). May it be soon. — John Bloom, Dedication. In: Things Not Seen. Crossway Publications (2015). Our last batch trip to Bohol was fun. The highlight of the trip was that I got to bond with my friends' kids. Here's Monay Mondragon, barely a year old, holding her Uncle Lance's hand firmly. She has the makings of a future diplomat. I haven't seen a child so sociable and well behaved. Her real name is Alessandra Mondragon, a fact that made us expect that this girl would grow up a diva. "Turuan na nating maging maganda," said Jay. Interestingly, during the entire trip, Alessa didn't cry or make a fuss about anything, the way kids her age usually do, so much so that Karen, her mother, told us, "Now she's [Alessa] making me look like I'm lying." Karen would amuse us with her motherhood woes—stories of love, sacrifice, and breast milk. . These days, Karen shows us photos of Alessa's crawling and recent transition to more solid food—like mashed vegetables. She'll grow up to be a kind, gracious, smart, and beautiful lady like her mother. And maybe nerdy-cool like her father. Mohan, who used to hate the water, had enjoyed it this time. Here's Daddy David showing Mohan the wonders of aquatic life. "Peeesh," said Mohan. Peeesh be with you, Mohan. I avoid sitting next to children during long flights, mainly because I want to rest during travel. But this article offers a Christian perspective about (and against) this attitude. First, children hold a special place in the eyes of God. Even the rowdiest of kids brings a smile to God’s heart, and they should bring a smile to ours. Jesus, after all, beckoned the children to come to Him, and we may hardly be more like Christ than when we do the same. I always read Miss Robinson with a sense of wonder, as if her statements were sacrosanct, not to be meddled with nor read with so many distractions around. The word of the Lord, when it occupies the heart, affects it in such a way that the person’s actions, words, and thoughts become transformed into more Christ-likeness. The passage starts with a verb, “let,” which means “allow” or “provide an opportunity for.” There is a sense in which a Christian must actively allow this to happen and to do so effectively such that Christ's word dwells richly. Scripture shouldn’t just reside in the heart—it must flourish there. Here Paul seems to say that the person must be saturated with the word of God before any effective teaching and admonishing, singing and being thankful, can happen. And doesn’t Paul describe a joyful man? Someone who “sings psalms and hymns and spiritual songs,” someone who is thankful to God for everything. The key to joy is Christ’s word dwelling richly in one’s life. May I be like this person. I certainly don't label myself a "millennial." I don't like the word; I clump it in the same category as "netizens"—that is, words I will never use, except as an example, as in this sentence, to demonstrate my hatred of it (the word, not the people). Interesting take on weight loss. One of the greatest joys—and pains—of my residency training has been working with (and for) medical students. Since January I’ve been appointed one of the Learning Unit 7 (LU 7) resident monitors, a task I’d originally resisted but a responsibility I’d later come to like and actually love. I work with Mervyn Leones, who has been my all-around partner in the extra-curricular of residency, including research, where we’ve worked on our meta-analysis and, now, our original study involving something about discharge planning. I also work with Rich King, who never complains about the tasks I assign him, things he has every right to refuse but gladly does anyway. I also work with Alfie Chua, whose meticulousness cuts through every grade that’s improperly input, a trait that manifests in the clarity of his charting and formulation of diagnoses. Together we orient the 26 blocks of interns that rotate with the Department of Medicine at some point during the academic year. These blocks are composed of both UP College of Medicine (UPCM) graduates and post-graduate interns (PGIs). Each student spends two months under our care: one month at the wards, and anther month at the Emergency Room, Medical ICU (MICU), and Out-Patient Department (OPD). We deal with their gross absences and their complaints. We also learn about their blooming romantic attachments, or brewing conflicts, or simple joys—things that remind us of who were were during our time as interns. Talking to them refreshes us. Each block is different, in the way that each person is. There are blocks that are easily cracked up by anything remotely funny, blocks that like to eat and sing and take selfies, blocks that hate each other’s skins.